Rex Fowler and Neil Shulman met at a Boston hootenany in the early 70s. It was a natural fit and one that has endured for more than 40 years. In that time, the duo, based in New York, hasn’t lost a step, and they will perform 8 p.m., Saturday, Jan. 16 at Mansfield’s Rose Garden Coffeehouse, 17 West St., Mansfield, Mass. 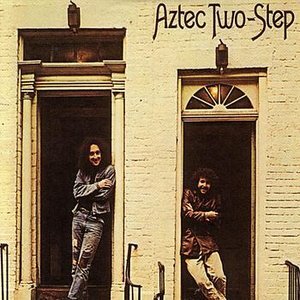 Rex Fowler, left, and Neil Shulman make up Aztec Two-Step. Bursting on the scene in 1972 with their critically acclaimed self-titled debut on Elektra Records, Aztec Two-Step’s first album and three subsequent albums for RCA Records were staples of progressive FM and college radio, and helped usher the music of the 1960s into the ’70s and beyond. 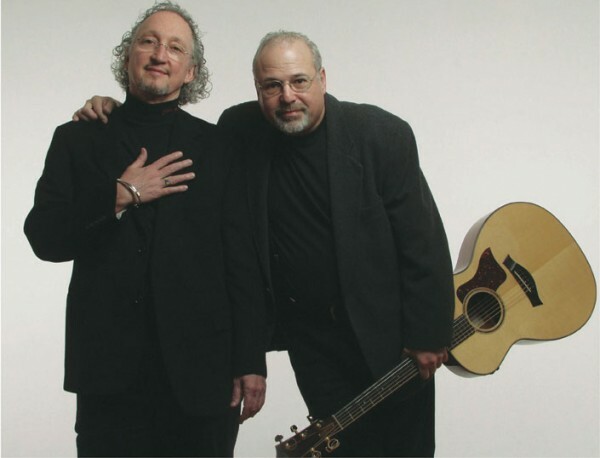 Fowler and Shulman and Neal have accumulated forty-plus years of awards, accolades and TV and radio appearances that include the David Letterman Show, World Café Live, and the King Biscuit Flour Hour, and have graced countless stages including those of Carnegie Hall and Lincoln Center. In 1987, the duo’s “Living In America” received the New York Music Award for Best Folk Album and was named in Billboard’s year-end critic’s poll, and in 1999 they were the subject of “No Hit Wonder,” a documentary that aired on PBS. I interviewed Fowler in 1994, which, looking back, seems like an eternity ago. Back then, Fowler was donning a cape and pretending to be Elvis for his song “Velvet Elvis,” as the duo continued to push for fame. Back then they were on the heels of releasing “Of Age,” which was both spiritual and a realization of the more important things in life. Read my 1994 article and review here. They’ve had several recordings since then, including a 2008 live recording “Time It Was – The Simon & Garfunkel Songbook” (Red Engine Records), which features narration by the late legendary Deejay and music historian Pete Fornatale. Their 1972 Elektra debut often reviewed them as having the “East Coast sensibility,” “intellectual lyricism,” and “ethereal harmonies” of Simon & Garfunkel, so to many in their field, it wasn’t surprising that they would choose to interpret and perform the timeless songs and harmonies of their legendary predecessors. They still mix in S&G songs today in their sets. And in 2012, to commemorate their 40th Anniversary year, the duo released their 10th studio album “Cause & Effect” (Red Engine Records). It is a collection of 16 socially significant songs, produced by Paul Guzzone, who also produced their “Days of Horses” CD, and features their long-time bassist Fred Holman. The album is a combination of re-worked previously recorded songs and newly mined material. Fowler and Shulman will make their first appearance at the Rose Garden, located in the Congregational Church, 17 West St., Mansfield, Mass. Tickets for the show are $22 in advance, $25 at the door. Youth 16 and under are free with an adult ticket purchase, and college students are half price with valid college ID.